Multiple Sclerosis is a devastating disease affecting predominatly young people in the most productive years. Its prevalence in Newcastle has doubled in the past 15 years. I have spent over two decades of my career researching this disease. The uncertainty if you can continue a productive life or end up in a wheelchair is the most challenging part of the disease. How are genes regulated and interact with the environment and can this predict the severity of disease? How frequent are symptoms like memory deficits, fatigue, stress, anxiety and depression in MS? What can we do about them? How does the disease cause these symptoms? How do these symptoms influence the disease course? Can we identify these symptoms early with new imaging techniques and do current treatments influence them? The brain is the most undiscovered organ in the body and I have always been driven to figure out things that I don't quite understand. Neuroscience has fascinated me since beginning my studies with pain pathways for my PhD. I then focused on the genetic condition myotonic dystrophy and the neurological impact of this disorder, which stimulated my interest in genetics and neurobiology of MS. Working with people with MS is very rewarding. Not only do I have a chance to meet a lot of young people and accompany them through their chronic disease but they also inspire and encourage me. My vision is to prevent the disease occurring in the first place or at least allow anyone that is diagnosed with it today to live a normal fulfilled life. Professor Lechner-Scott was born in Germany and completed her medical degree at the University of Heidelberg. She finished her PhD on pain pathways at the Neurophysiology Department of the University of Heidelberg and began her residency at the University Hospital of Freiburg, Germany. Most of her neurology training was completed at the University Hospital of Basel, Switzerland, where she joined the internationally highly successful MS research group of Professor Ludwig Kappos. 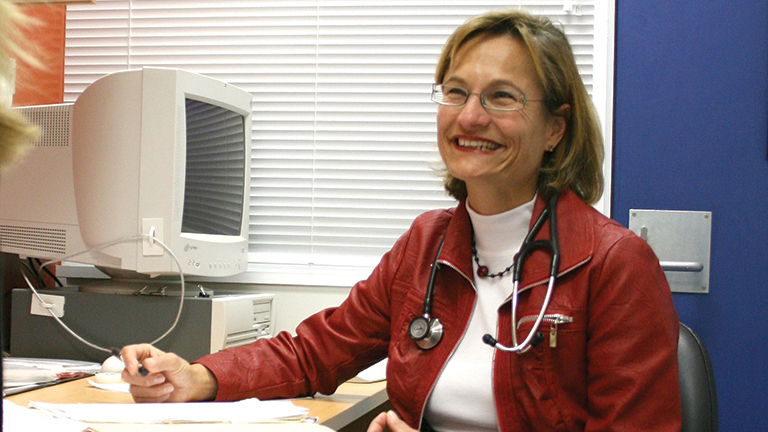 After gaining her qualifications for Australia, Professor Lechner-Scott started a specialised MS clinic in Newcastle, which has steadily grown to be to one of the largest in the country with over 700 patients, . With national and international collaborations (ANZGene and IMSGC) her group has identified now over 190 gene regions that predispose to MS. They were also the first to identify gene regulation methods (hypomethylation in HLA-DRB 1501) which might well explain the interaction between genes and known environmental risk factors like smoking, sun exposure and glandular fever. The group were further able to demonstrate that anxiety and stress levels, cognitive deficits and fatigue are high even early in the disease course and that anxiety can impair memory function. Her team currently applies new MRI technologies to assess what molecules influence clinical disability including cognition and fatigue. Neurologist with expertice in clinical trials, phase II-IV. All patients included in a large prospective data base with clinical details. Most patients have stored DNA, RNA and serum as well as yearly MRIs.